A friend of mine suggested I do a post on sibling arguments. I want to use this as an example of how we can take any parenting problem and apply the different principles from this blog to find solutions. If you are concerned about your children’s arguments, start with the following basics. 1. Build your relationship with each child separately. Help each child feel secure in your attention and love. 2. As they fight and bicker, remember that’s just how kids are, and practice patience. Siblings are going to fight. It’s normal, so don’t blow it out of proportion. Arguing with siblings helps children learn and practice communication and problem solving skills. Stay patient, kind and calm. 3. Point out the good. Find 5 times in the next week when your children are getting along or being nice to each other. Say, “I’m so happy you guys are playing nicely together. There’s a good feeling in the house;” “I like the way you are speaking kindly to each other today;” or “Thank you for using your words to ask for that toy instead of just taking it.” Try to think of the specific things they do that create arguments (grabbing a toy, poking or pinching) and then find times when they do the opposite and comment on the positive behavior. 4. Teach your children how to use their words. Tell them the exact words to use as you guide them through solving the problem. It takes a lot of parental time and involvement in the beginning, but soon they will start doing it more and more on their own. 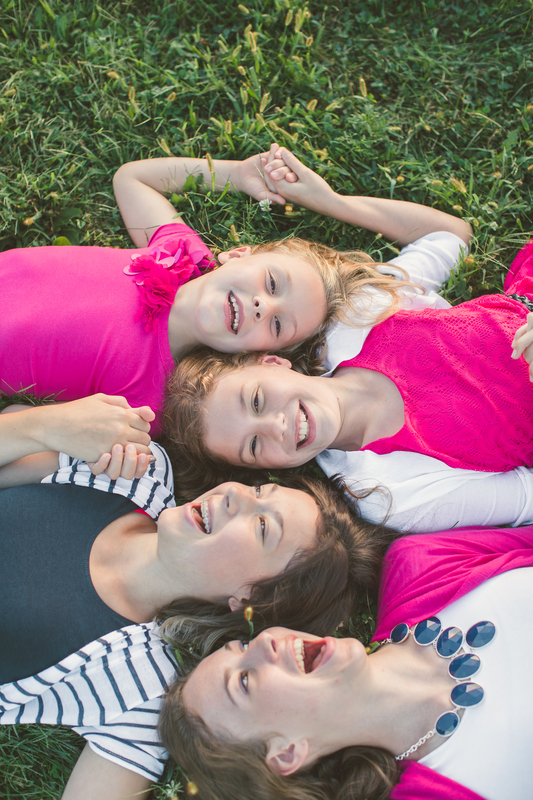 Beyond those basics, there are a few other things you can do to help your children get along with each other. First, “I’m sorry I ____” (fill in the blank with whatever she did. Make it a sentence, not just two words). Having the offending child say these three things creates a conversation between the two of them instead of just an unrepentant, “Sorry.” It helps Tom (the one who got hurt) feel better, and it reinforces in Jane’s mind “I won’t do it again.” I tell Jane all these words and have her repeat them. It seems a little contrived at first, but it teaches them what to say, and it diffuses the situation. If Jane has physically hurt Tom, then we have a talk about that, also. I will tell her, “It is not okay to hurt someone else in our home. No one is allowed to hurt you, and you aren’t allowed to hurt others.” Jane might be thinking (or saying), but I wanted that toy!! She is not developmentally capable of generating a different method of getting what she wants other than grabbing and hurting. I know I need to teach her other solutions or tools for getting what she wants (which is what Use Your Words is all about). This formula of use your words and then come get me is something we talk about a lot when conflicts come up. So after a while I might ask her to repeat it back to me; I could say, “What are you supposed to do when you want something?” and encourage her to tell me the two steps (use your words, then come get mom) with the added stipulations use LOTS of words, and never hurt or hit. This simple format not only gives them the skills for solving their own problems, but also provides a secondary plan for help when needed. Teaching your children this method implies that you are willing to be involved in their conflicts. Many parents respond to sibling arguments with, “Don’t bother me with this! Go somewhere else; figure it out on your own.” I think those parents are missing a great opportunity to teach children about conflict resolution and to train them to stay calm and use words instead. When you are present and involved you can help them diffuse the situation, calm hot emotions, and find a solution that everyone is happy with. We often focus on what to do when siblings fight, but you can prevent contention from happening by being proactive and teaching children how to get along. Teach them specific skills such as how to initiate play, how to find activities they both enjoy, how to gently decline when they are not interested, how to be less bossy (older children) and less passive (younger children). Some theories say that sibling fights are based in a conflict over parental love, but really they are simply arguments over toys! If you work on skill-building, the conflicts will diminish. Competition between siblings is another form of conflict. Going through the four basic principles at the top of this post will help with this problem, also. It won’t make the competition go away necessarily, but it will give you the peace of mind that you have a plan and are doing the right things. There are two other pieces of advice I have about reducing sibling competition. The first is to avoid any comparisons between your children. Most parents realize they shouldn’t say, “Why can’t you be like your brother? !” but there are some more subtle comments that can also tear children down. If one child is feeling bad about something he didn’t do as well on as his brother, don’t say things like, “He’s good at basketball, and you’re good at drawing.” You don’t want to pigeon-hole children or discourage them from continuing to work at something they are not currently excelling at. You never know what each child’s potential is and you don’t want to do anything to stifle it. It’s better to avoid any comparisons at all. Only refer to the child you are speaking to. Console him by saying statements such as, “Sometimes you do well at basketball games and sometimes you don’t,” or, “Some things comes easily to you and some you have to work a little harder at.” It’s okay to tell him some specific things to work on or gently ask what other boys on the team do to develop their skills. But don’t say, “Your brother shoots baskets every day; that’s how he improved.” Just leave his brother out of it! Try to create a family culture of succeeding. For instance, “Browns are great at piano! You’re a Brown, right?” This is better than saying, “You’re just as good as your brother!” You don’t want to give the impression that he needs to live up to his brother’s achievements, but you do want to have a family culture of high expectations and excellent performance. An even better statement is, “Browns work hard at piano and that hard work pays off!” Focusing on the hard work instead of the outcome gives children a sense of control and greater motivation. Watching sibling disputes and mediating between children can be frustrating and exasperating. Much of the time parents need to be patient and suffer through the bickering and nit picking. To deal with this or any parenting problem, start by applying the **Basic Principles. Then move on to strategies specifically aimed at helping children solve their bigger disputes: teach them the three steps to apologizing and exactly how to use their words; remind them that if words don’t work come get mom (or dad); teach them proactive ways to reduce contention; and avoid sibling comparisons. Remember, the problem solving skills they learn and practice though their sibling interactions will benefit them in all their relationships. Sometimes it can be hard to know if your child’s exasperating behavior is within the normal range or something more, something where you might need professional help. If you are wondering this or just feeling more frustrated than you can handle, I would encourage you to take your child to see your pediatrician. You can talk about your worries at a well-child visit, but the doctor might not have adequate time to really explore the situation in that type of appointment. It might be better to make an appointment just for this dilemma (tell the scheduler, “I want to talk about his difficult behavior and how best to deal with it.”). Your pediatrician will go through your concerns and your family history and discuss some possible solutions. In the post Practice Patience I referred to a time when I did this very thing. I had been consistently frustrated and overwhelmed with my 5-year-old daughter. I sincerely started to think there was either something wrong with her or something wrong with me! I was embarrassed and nervous to go in, but our doctor was patient and kind. He didn’t seem like this discussion was out of the ordinary at all. He sees all kinds of parents, and maybe he even thought it was a healthy problem-solving skill to have the courage to come talk to him. He went through an exhaustive list of different behaviors and troubles. By the end I was thankful for all the problems I could say “no, she doesn’t do that” to. It made me realize that I was possibly blowing some things out of proportion. But it was definitely worth it to go in and check it out. If there were something wrong (with either of us) where professional help would be needed, he could explain to me what it was, why we needed more help, and where to go to get that help. But as it turned out, he was able to assure me that my daughter was within the “normal” limits, and we were going to be okay. He sympathized with me that parenthood can be very difficult and children are sometimes frustrating, and encouraged me to keep trying. It was both scary and consoling to be told: this is just how parenting is! But in subsequent frustrating moments I took great comfort in his reassurance and his words of support. I was certainly glad I went in and spoke with him. It was worth the potential embarrassment or fear to have a secure knowledge that we were on the right path, however trying that path might be! If the problem were more severe and professional help was necessary (and it was not a medical problem), your doctor would most likely refer you to a counselor. 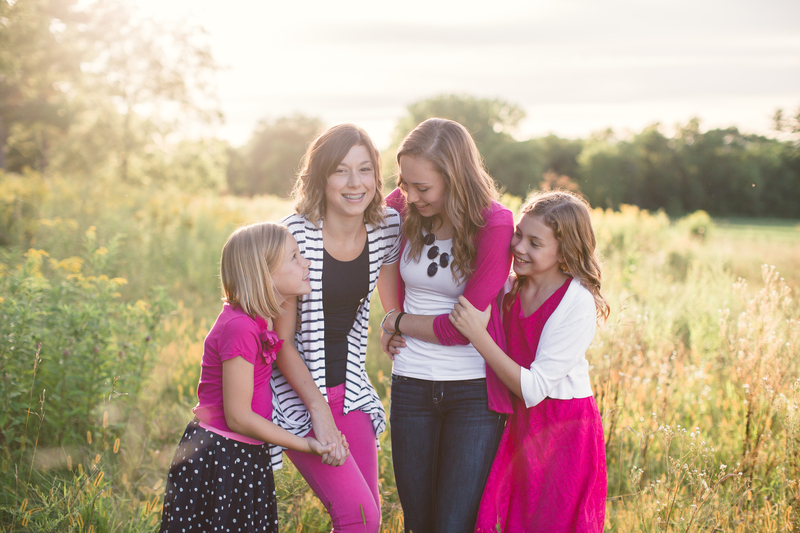 The idea of getting counseling can be scary and intimidating to a lot of parents. After I received my Master’s in Social Work, I worked as a family counselor for a short time, and I became convinced of the many benefits counseling offers. If more parents sought counseling for their concerns there would be less of a stigma associated with getting help. Everyone needs a little help now and then. Different children need different parenting styles sometimes, but we as parents only know one style! A counselor can help you explore others, if she felt that was needed. A counselor can be your ally in your parenting struggles, offering new tools and strategies for dealing with problems; she can offer a nonjudgmental listening ear to talk with about your stress; and she can be a source of strength and support. Simply talking through your family dynamics, your failures and successes, and your communication styles can be very helpful. The counselor is an objective third party there to listen and help you find your own solutions. Counseling has many options – you can just go by yourself to get some parenting help; you and your spouse can go together (this is especially helpful if there are marital concerns getting in the way of optimal parenting); or you can go together with your child. It doesn’t have to be a long, drawn-out process. Many counselors start out with ten sessions, and most problems can be resolved or greatly improved in that amount of time. There are parts of counseling that can be uncomfortable – the first session is probably the hardest. You might feel a sense of defeat and weakness admitting you have a problem greater than you can solve on your own. But try to view counseling as a resource available to you to improve your life and improve your functioning, much like taking your car to an auto mechanic or seeing a medical doctor when you are sick. Choose to see yourself as strong and courageous for taking this large step to make things better. There are other difficult parts as the counseling goes on, when you realize ways you’ve been wrong or things you need to change. But if the end result is better and more satisfying interactions with your children, the discomfort will be worth it. I had some quick ideas about a few topics and decided to group them into overrated and underrated. While it is true that sharing is a skill that parents should help children learn, many parents focus on it way too early. Child development specialists will tell you that in the first few years of life, children are ego-centric and unable to notice or care about the needs of others. (This is a general statement. There are times when young children notice and care about loved ones, but the rarity of those times is what makes them so sweet.) Around the age of four they start becoming more aware of their peers and having more of a desire to “get along.” This is the time when sharing can be emphasized, and children will be able to learn and understand the concept. Focusing too much on sharing before this is like saying, “If I start young teaching him to tie his shoes, he’ll be really good at it!” We all know that kids will eventually learn how to tie their shoes, when their dexterity and coordination allow them to. Different kids reach that stage at different times, so there is some benefit in “starting early” but there’s also clearly a time when shoe-tying lessons would be completely ineffective. Children need more of our time and attention than many parents realize. They are attention sponges, and their need for it can get overwhelming. But try to remember that when you focus directly on your child, you are helping him in so many ways: emotionally, physically, and mentally. Neural connections are created and strengthened in his brain when you listen to him and have conversations with him. In these interactions you non-verbally teach appropriate social skills, reinforce your emotional bond to each other, and build your child’s self-esteem. You communicate to him that he is important and worth listening to. So much is accomplished in these seemingly mundane moments. For newborn babies, gazing into a parent’s eyes is exercise. Their heart rate goes up and their attention is focused. It is a mentally strengthening activity. For the first year of my baby’s life I try to have this one-on-one, focused interaction for 10 minutes every day. I smile and talk to her and rub her arms or legs. It’s a very bonding time. After about ten minutes the baby will look away, indicating she is tired. This is her cue that she’s done ‘exercising’ and needs a little time to look off in the distance. She is processing what she just took in. For my toddlers and preschoolers I carve out at least ten minutes a day to spend one-on-one, playing or talking. I try to make this a habit by tying it to some other routine, such as doing it every day after lunch. I play whatever the child wants to play and let the child lead the interaction and discussion. It’s difficult to put other things aside and spend focused time with my child. I’d rather get to my ‘to do’ list than sit on the floor and play ponies. But I know it’s so important to the child’s development and to our relationship. Once children are in school all day it’s harder to quality spend time with them. After school they have homework and dinner and activities. But it’s still important to have regular one-one-one interactions with each kid, even if it’s once a week or once a month. This is a word that strikes fear in parents. They fret that if they aren’t consistent children won’t learn that they are serious about the rules. Being consistent is important, of course. You don’t want to have different rules and consequences all the time. Consistency helps children know what to expect and shows them that they can rely on you. But it’s a little over-emphasized. Situations come up where flexibility is important. When you’ve been out late or have a guest staying with you or your child seems to be going through a growth-spurt – these are times when you can stray from the normal rules and make exceptions. You don’t have to be so locked into being “consistent” that you can’t use your own judgment about the situation at hand. I think follow-through is more important that consistency. Follow-through has to more to do with short term situations than overall rules of the family. If you ask a child to complete a chore, following up to see if it’s done is crucial. If you say you’re going to give a consequence for a certain misbehavior, do it. But, you should think about what you’re going to say before you say it! (Even then, if you speak in the heat of the moment, it’s okay to come back a few minutes later and apologize and explain that you weren’t really thinking clearly, and the consequence (or threat) that you gave isn’t reasonable. This is still a form of follow-through.) Follow-through has to do with you being present and aware of what children should be doing and when. We encourage our children to use their words when they want something, including an exception to a rule, and that means that sometimes we end up bending that rule (not always, though). Consistency is a principle to look at over the long term – are you generally consistent? If yes, then it’s okay for exceptions in some situations. You and your children probably spend a lot of time at home. The home is the environment your children are most comfortable in, and it has a great impact on whom and what they will become. Why not fill it with inspirational and educational materials in places children can easily see and access? Surround your children with the good things of the world. I’m sure you have family pictures on the wall and books on the shelves, which is a great start. Both those things are important. But you could also include poems, inspiring quotes, and scriptures. You could print out history facts and famous quotes and tape them to the wall. This will be of interest to your child and the papers taped to the wall can serve as a reminder to you to talk about those things and teach your child about that person or time period. You could also listen to snippets of classical music and learn about it together. Children are very interested in new stories and in learning about interesting people. My husband has a small notebook of copies of famous paintings from a college humanities class. We hang one picture at a time on the fridge. The kids notice it and read the title, and sometimes we discuss it. My goal is that when they encounter that picture in their own college humanities class they will say, “I’ve seen that before!” One of the keys to this infusion of knowledge is changing the wall hangings on a regular basis. People quickly get accustomed to whatever is around them and stop noticing it. So every few weeks or months, change it up! In this age of helicopter parenting, there are a lot of tasks that we rush to help our children with that they could very well do on their own or at least should be able to attempt to do. The importance of allowing children to try for themselves starts when babies are first playing on the floor. When they reach to grab a toy, don’t hand it to them right away. Let them reach and struggle; this will work new muscles and brain pathways and motivate them to move in new and different ways. That same logic can be continually applied as they grow. Children gain self-confidence when they are able to be independent. We should praise their efforts in trying to accomplish something, rather than rush in and do it for them. I like to say, “It feels good to do things by yourself, doesn’t it? !” to reinforce the positive feelings of self-reliance. Sometimes they end up doing the task by themselves because I was taking too long to come help them. In those cases I congratulate myself for being too busy to help because they learned they could do it on their own! There are many situations where an adult can see that a child won’t be able to do the task, for example, opening a restaurant door. But to jump in and help before letting her try gives the impression that she can’t do things and shouldn’t try. We don’t want our children to think they should only try things they know they are good at or they know they can do. We want them to try all sorts of new things, even if they are unsure of their abilities. In general, people like to try. Let your children try. It’s hard to hold back when you know they won’t be able to, or when it would be easier to do it yourself. But it only takes a few seconds or minutes. Don’t help until they ask. This goes for opening things, making things, doing homework, doing chores, and many more tasks. It takes longer and sometimes is frustrating to watch, but it creates independent, can-do kids. Allowing children to do things for themselves will result in teenagers who wake up to their own alarm clocks, do their homework independently, and remember their own appointments! The more common usage, however, is time out as a punishment. Parents know that spanking is no longer an acceptable general-use punishment, and they want something that they can hold over the child to elicit cooperation. The problem with punishment is the more you use it the less effective it is. The child may be afraid of the punishment in the beginning and motivated by that fear to behave as you want them to. But after a few times of experiencing the punishment he will realize it’s not that bad, and the motivating effects will wear off. Any kind of punishment (taking away privileges, grounding, time outs) needs to be used sparingly to be effective. If this is your main tool, it’s going to work less and less over time. Using the proactive principles described in this blog will be more effective in producing the desired behavior. Another problem with punishments, including time out, is that often parents don’t actually follow through with them. Saying you’re going to enforce some punishment and then not doing it is just giving the child permission to misbehave over and over again! The child quickly realizes the punishment is not coming. Granted, it’s a hassle to follow through with your punishment. It requires a lot of effort on your part, and it brings up a lot of emotions, such as anger and irritation. It’s easier to threaten the punishment and *hope* the behavior improves so you won’t actually have to go through with it! But, this style of parenting is less effective, of course. This gets back to the idea of say fewer words when you’re angry or disciplining. If you are not ready to enforce the consequence, don’t bring it up! Just don’t say it. Say something about how you want them to act; try to find positive behaviors to reinforce; but don’t threaten the punishment unless you absolutely intend to enforce it. An example of this happened in our family recently. My daughter had 5 friends sleep over for her 11th birthday party. My husband and I knew it would be difficult to get them to go to sleep and not disturb us in the night. He went down to see if they had the blankets and pillows they needed. He decided to “lay down the law.” He told them if we had to come down to tell them to be quiet, we would separate them all to different rooms to sleep the rest of the night. When he told me that, I was surprised. I said, “You’re not seriously going to do that – separate them after only the first time we have to go tell them to go to sleep? !” We’d be the meanest parents on the block! He thought for a minute and said he guessed he really didn’t intend to enforce that consequence. I was a little disappointed that he (who is usually in complete agreement with my parenting principles) would threaten something he didn’t intend to do. It didn’t matter that much in this one instance, but it shows how easy it is to come up with a scary sounding threat to manage behavior. As parents we don’t always think through if the threat is reasonable, realistic, or even advantageous to us! We’ve all had that sinking realization that the punishment we just gave our child was really a punishment to ourselves. Think before you speak! Ask yourself if a punishment is really necessary in this situation, and what it will be like for the child and you to carry out the punishment. These same ideas apply to rewards (i.e., bribes). Rewards are really just punishments turned around. If you do this, you get a reward; but if you don’t do this, you don’t. The withholding of the reward based on behavior is the same as a punishment. To build enduring patterns of good behavior, children need to be motivated by internal rewards (the positive feelings they have inside knowing they are doing the right thing) more than external rewards (what someone is going to do or not do if they behave). If they get used to being rewarded for each action, they will stop doing the behavior once the reward stops. There are the occasional instances where rewards can be effective. When you’re in a situation that doesn’t come up very often, such as flying on an airplane, rewards can be a great tool. If the behavior is one you want her to do consistently (not hit her brother, take her plate to the sink, clean up her toys) rewards as motivation are not very helpful. The effects will wear off over time. But, if it’s a behavior that you just need them to do once (or once every long while), the short term benefits of rewards can be just the thing to get the child motivated. 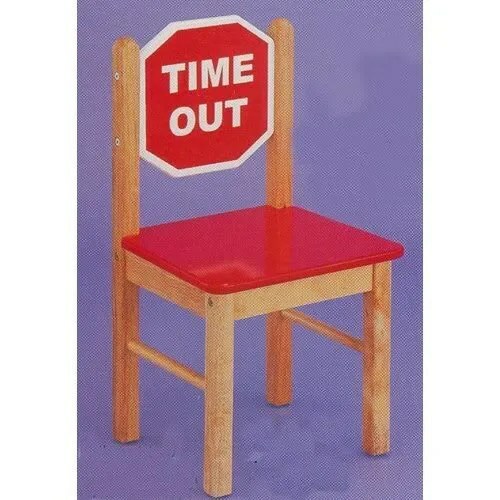 If used sparingly, the time out will have a strong effect on the child and the behavior will improve afterwards. If the misbehavior continues you may need to look at the larger situation. Is the child tired or hungry or had enough of spending time with her brother? 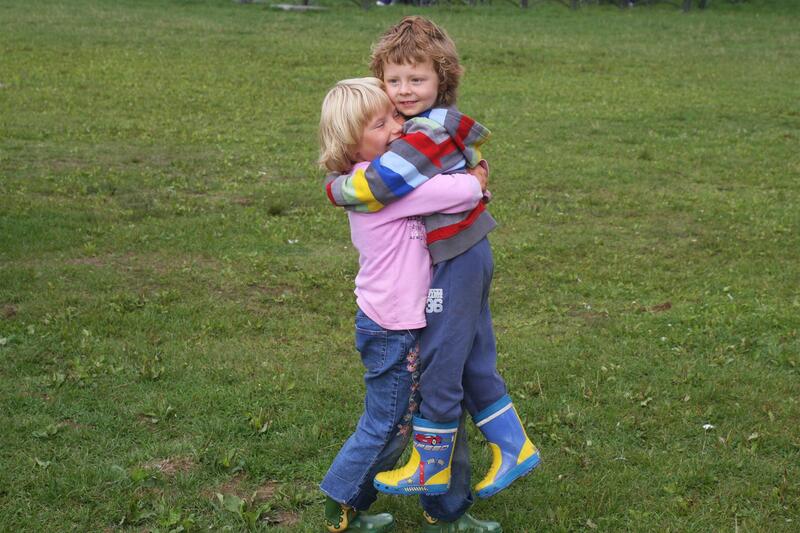 Is there something else reinforcing the behavior (the attention or laughter of an older sibling)? If you find yourself using time out often, review the posts on this blog and try to implement the other, more positive parenting principles. It takes dedication and effort to parent in the proactive rather than reactive way, but your child’s behavior will improve and the improvement will not be just for the short-term. He will have the internal motivation to succeed; he will have the desire to please you with his good behavior because of his positive relationship with you. You’ve all heard this phrase, “Use your words,” and most likely you’ve said it to your children. But I’m going to show you a specific technique that really teaches children what words to use and how. The goal is to teach them to problem solve on their own and help them express their feelings. As I’ve said before, words are very powerful and this simple tool can help diffuse many emotional situations and solve problems so easily – you’ll be amazed! The foundation for the technique is that people, including children, want to be listened to and validated, more than they want the thing they are fighting for. I look at Sally for a response. She might say, “Sure” and give it to Tommy. Often this happens because, as I said, the words diffuse the emotions. But just as often Sally looks upset, thinking you’re going to make her give the truck to Tommy and she doesn’t want to. So I say to Sally, “You don’t have to say yes. You could say, ‘I’ll give it to you in 5 minutes’ or ‘I’m playing with it now’.” Sometimes I might ask her straight out, “Do you want to give the truck to Tommy?” and if she shakes her head no then I give her some suggestions of what to say. The “How long do you want to play with it” is a useful phrase because it gives the child a sense of power – she gets to choose. Most often she will choose a reasonable amount of time (3 or 5 minutes). If Sally is really not wanting to give up the toy, I would say to Sally, “Tell Tommy, ‘I just got this truck and want to play with it for a while.’” You teach them to say whatever fits the circumstances. Maybe, “I brought this toy from home because it is my favorite, and I want to play with it.” Or “I want this spot on the couch because I like being next to mom.” Or “I don’t want you to borrow my clothes because sometimes you don’t return them.” You have to teach them EXACTLY what to say to solve the problem. The point is not to get them to share or be nice or do any specific behavior. It’s mostly to use specific words to solve the problem. The problem can be solved by keeping the toy! Using words in this way helps everyone in the situation feel good about the solution, whatever it is. As soon as a child is old enough to take away another child’s toy (or care if her toy is taken) this technique can work. She may not be able to say it, but you can model it and she can start to understand the meaning. You tell her what to say, and then say it for her, if needed. When kids are older and get in more heated arguments we do the same thing but even more involved and more words. First I ask each child to tell their side of the story, without being interrupted by the other child, and then I start to mediate. I say, “Tell Shelly, say ‘I don’t want you to play with me and my friends because I just want some time with them to myself.’” I make her repeat those words, even though I just said them standing right there. If she doesn’t want to say it or feels silly, I remind her that she needs to practice these words so that she can do it on her own next time. She says the sentence, and then I coach the sister on what to say in response. After a while they know what to say or how to express themselves and don’t need as much coaching. Sometimes they get sick of the whole process and don’t want to participate, so I remind them, “The more words you use the more likely you are to get what you want.” I really believe this is a life-lesson truth. Whatever situation you are in if you can ask for what you want, express yourself clearly, stay unemotional and use your words, you will get what you want. I use this same technique when my kids are asking me for something. The more words they use describing why they need it and what it’s for, the more likely I am to get it for them. Sometimes they are too frustrated with me to go to the effort of explaining all that, and in that case, they don’t get the thing they want. I don’t just say, “Use your words!” but I teach them just what to say. For example, “If you wanted to stay longer you can ask me, you could say, ‘Mom, I’m having a lot of fun playing with my friend. Is there any way I could stay a little longer?’” You can have them repeat that back, if the moment is right, but even if they don’t they start to learn the words/phrases. There are hundreds of different applications of this, and the more you take advantage of a problem situation and teach them the words – the exact words – in this way, the more words they will know to form their requests and solve their problems using words instead of whining/hitting/etc. Mostly I wait to get them the thing until they have asked, but if the moment is tense and it will become a control battle, I won’t make them. I do try giving them an option, “You can either say ‘please’ or ‘will you’. You don’t have to say both.” You probably know that kids like options, it gives them power, and it’s an effective tool for eliciting cooperation. So, they have that option and usually they will comply with one or the other. I’ve been through this scenario many times with my kids, as you can imagine, so by now I just need to say, “That’s a statement,” and they know to re-phrase! This mediation and teaching process can take some time, but it’s worth the effort because it teaches your child how to express himself, helps him feel validated and listened to, and solves the problem peacefully rather than contentiously. If you leave these arguments up to the children they will escalate and you will get mad and send them all away and no one will be happy. Using this technique greatly reduces the contention in the home and the need for “discipline” or punishing. It also teaches the children to ask for what they want in a calm and specific way, which will be a great asset to them in life.